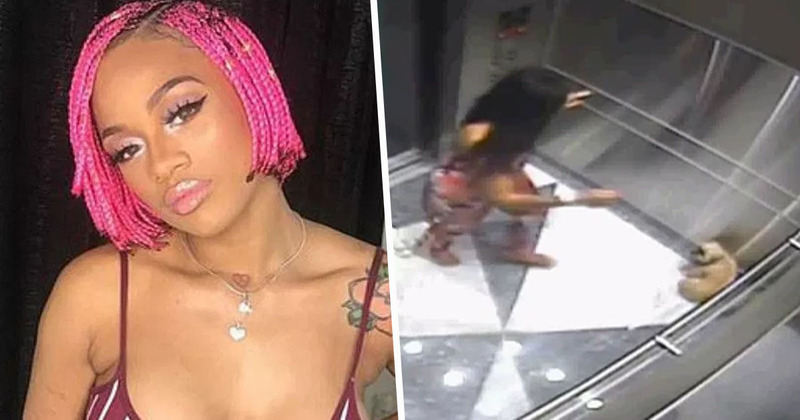 A model who was caught on CCTV brutally kicking and stamping on her own dog in a lift has avoided going to jail. The footage was filmed inside the lift of a luxury Artech condominium, in the south Florida town of Aventura. It shows the moment a terrified Shih Tzu/Yorkie mix runs in and cowers in the corner, before Keevonna Wilson – the dog’s owner – walks in and brutally starts kicking it. Stuck in the lift after the doors close, the dog can only try to run to another corner to escape, but sadly Wilson carries on abusing the poor animal. After the footage was seen by building security workers, the police were notified. Wilson was identified and later arrested. The 26-year-old was charged with animal abuse, though she initially pleaded not guilty, according to The Sun. Wilson was released on bail of $5,000, and has now accepted a plea deal, according to court records. The aspiring model and rap singer was ordered to perform 200 hours of community service and pay roughly $600 in court costs. After the incident, Miami-Dade Animal Services removed the Shih Tzu, called Chastity, from Wilson’s custody, and also provided medical care to the dog. Contusions bilaterally in abdominal area, contusions bilaterally in pinnae, pain upon palpation of lumbar spine and abdomen. This was a tiny little Yorkie Mix and it is an egregious crime, there is no excuse at all to do that to a small innocent animal, none. We were not able to speak to [Wilson], she chose not to speak with us but based on the video we found sufficient evidence to place her under arrest for animal cruelty. The 26-year-old was also ordered by the court to write a letter explaining ‘how and why the offense situation occurred and what was learned from the experience’, according to The Smoking Gun. If you want to report animal cruelty or an animal in distress, you can contact the RSPCA here.